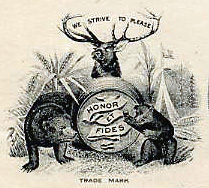 The company was being supplied by the Old Darling distillery of Prestonville, KY., but also lists the Peacock (RD #10, 7th District of KY) on its letterheads. The "Creme de la Creme" brand was originally attributed to H. Hollander , listing in Cincinnati directories 1891-1902. 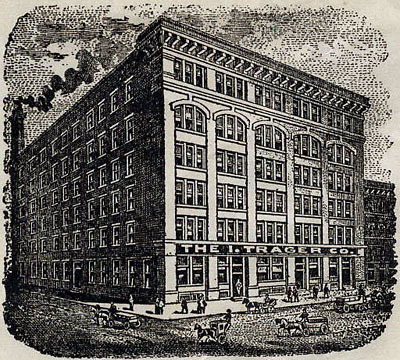 Trager, who also registered the brand, list from 1891-1918. Presumably they took over the brand from Hollander. The 64th and 66th annual reports of the Cincinnati Chamber of Commerce lists I Newton Trager and J Garfield Trager as being associated with this company in 1912 and 1914. "Black Warrior", "Cream of Kentucky", "Creme De La Creme ", "Deerfield", "Edgemont", "Forest Hollow", "Old Colony Club", "The Black Warrior", "Tulip Rose", "Union Rye", and "Youghiogheny Malt." Re: I TRAGER & CO.